Business looking to maximize profits need to be able to keep track of all aspects of their assets, and the only way to effectively accomplish that is through the most advanced tracking software, Abbas Hussain, a blogger who talks about asset tracking and steel buildings, wrote in an August 16 blog post. When thinking about data collection tools, organizations need to consider variables beyond just physical location. Ideal data collection software should track an asset's physical whereabouts to help deter theft, in addition to its maintenance history, Hussain wrote. The key also is to make sure the tracking tools chosen can keep tabs on a wide variety of fixed and non-fixed assets a firm may have. "The secret to a successful industrial business is in the management of your company's assets in an effort to increase production throughput while reducing cost," Hussain wrote. "Asset tracking will allow you to make informed decisions while guiding your company forward by providing details about every company asset." For companies looking to realize the greatest return on investment from its asset tracking expenditure, Hussain recommended some of the most technologically advanced systems available, including ERP solutions. 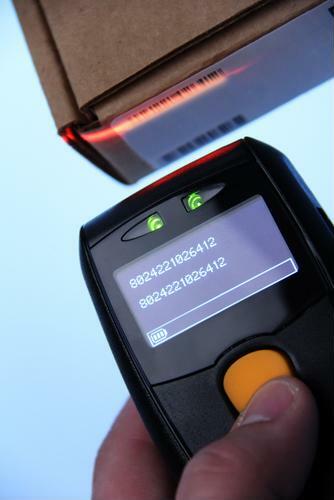 Programs such as barcode tracking software provide businesses with the tools needed to always stay on top of their assets, and new technologies can make it easier than ever for larger firms to more accurately list their assets in filing with the Securities and Exchange Commission. One trend in asset management that Hussain said businesses may want to implement is browser-based software. By leveraging internet tools, critical information can be instantly access by any end user with a wireless device from any location in the world. "Technological advances also enable businesses to keep physical track of the whereabouts of your assets," Hussain wrote. "This includes the use of GPS and satellites enabling you to view and follow the progress of your assets during transportation. It will keep your equipment safe because you will be able to know when someone is tampering with your assets. You will be able to do this from any remote part of the world. This asset tracking method has revolutionized the way industries do business." The technologies listed by Hussain are already being implemented in greater numbers across a variety of industries. Gartner reported in May that the worldwide market for supply chain management software has experienced double-digit growth every year since 2009.